J.A. 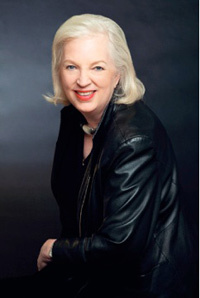 Jance is the author of over forty best-selling books, millions of which are still in print. Her series include those featuring J.P. Beaumont, a retired Seattle policeman; Joanna Brady, Sheriff of Cochise County, Arizona; and Ali Reynolds, former broadcaster and now police academy graduate. Jance’s professional writing career began with the publication of the first Detective Beaumont book, Until Proven Guilty (Avon, 1985). However, her desire to become a writer actually began in the second grade after reading The Wizard of Oz. Unfortunately, both her first husband and a creative writing professor discouraged those efforts. According to the professor, “girls ought to be teachers or nurses,” not writers. Jance set aside her writing until the 1980s when she found herself a divorced, single parent without child support, working full-time selling life insurance. Jance holds degrees in English and secondary education. She also has a master’s of education in library science, and worked as both an English teacher and a K-12 school librarian. She grew up in Brisbee, Arizona, and she and her husband now divide their time between Seattle and Tucson. Her two most recent hard cover releases are Deadly Stakes (Simon & Schuster, 2013) featuring Ali Reynolds, and Judgment Call (Morrow, 2012) featuring Joanna Brady. Of all of her publications, however, Jance lists her favorite as Hour of the Hunter (Morrow, 1991) from the Walker Family Mysteries series. Notably, one of the characters is an evil creative writing professor.